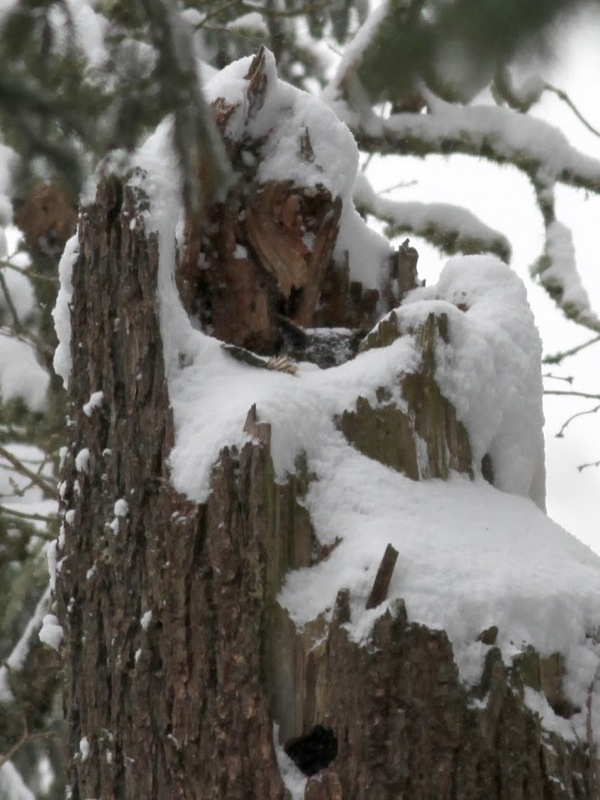 The female great horned owl that has made a nest and laid her eggs in the top of an old snag at Ayers Creek Farm has come back to raise another clutch of eggs. 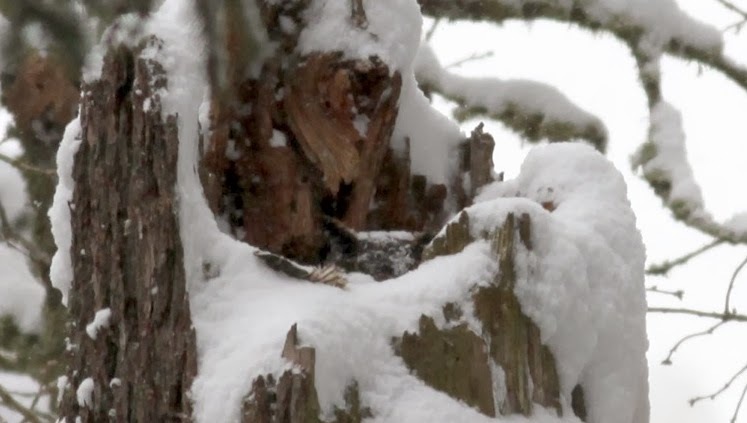 The nest is about 40 feet off the ground in a cluster of evergreens 100 yards from contributor Anthony Boutard's back door and, as before, he's set up his binoculars on a tripod near the house to monitor her progress. Last Saturday, getting a jump on the groundhog, our great horned owl laid her first egg around 2:30 pm. It is two weeks earlier than in recent years, when she has shown a preference for Valentine's Day. She certainly picked a tough year to start early. Here she is, stuck like glue on her egg, getting plastered with snow and freezing rain. The rain blurs her a bit, but she is tucked into the top of the snag and you can see her ear tufts keeping track of me and the camera. Sometime later this week, she will likely lay a second egg.